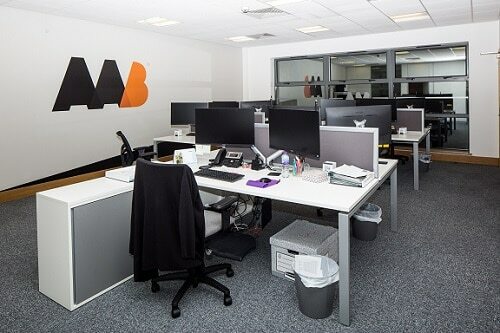 All About Bricks, a long standing client of Your IT, recently undertook a office move to new premises at Unit 10 Maisies Way, South Normanton, Alfreton, DE55 2DS. 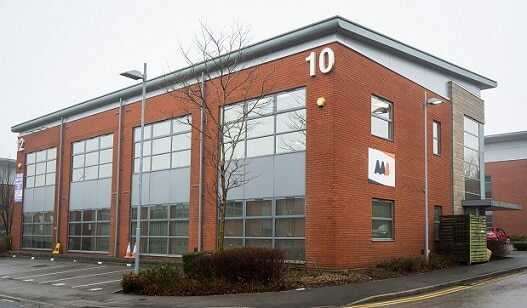 The move marked another step in AAB’s expansion in the UK. The office has been purchased to provide logistics, marketing and finance teams a more professional home, whilst providing customers with meeting facilities and later in 2018 a brick showroom. 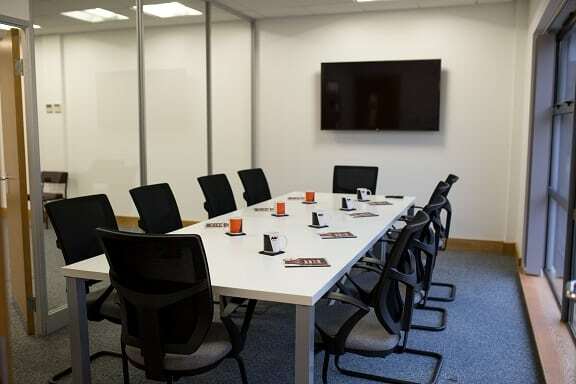 The office has been fully refurbished and looks fantastic, as you’ll see from the photo’s we’ve included. The move required our involvement to move the IT equipment and ensure that the office was fully operational when AAB moved in. This involved our Project Engineer working over a weekend to ensure minimal downtime, starting the work on Friday evening and completing on Saturday. The work we carried out included moving all network infrastructure including a server, firewall and switches. There were a number of desktops to move and configure, whilst we also had to integrate a new telephone system from a third party. Finally we hooked up the new audio visual equipment in the conference and meeting facilities. We spoke to Managing Director of AAB, Jonathan Plews, to get his thoughts on the project. Who are All About Bricks and what do they do? How did you feel the consultation process prior to install was delivered by Your IT? We have used Your IT for a number of years. Following recent expansion of staff and IT resource I would say they were key to establishing the business demands and defining a route that worked best for us, both on cost and time. Often this was counter to our initial instincts but time has proven their strategy correct and beneficial on both points. How did you find the engineer delivered the project whilst on-site? Did we communicate with you and the 3rd parties involved to ensure a smooth process throughout? Was the project delivered within the time frame you were expecting? Yes, we finished ahead of time on the Saturday. Were you happy with the end result of the project delivered by Your IT? Your IT can help you plan and carry out your office move or expansion, whether you’re an existing customer or not. For a no obligation discussion on your project please complete a Contact Form or call 0115 8220200.